I had co-emceed the student's day ballroom dance and we had hired disc jockey Alan B. (Onyema O. ), who then also announced alongside Teddy Oscar Uju at the Imo Broadcasting Service, the IBS in Owerri. It had been normal harmattan, the dry, dusty windy season when we take the Christmas break and join folks in our enclaves to find out how things could work out as we began to develop and grow, in mannerisms and an in tuned cultural heritage . It had been a wave of music groups upon music groups and as one is forming, the other is disbanding. They had all emerged after the Nigeria-Biafra War had ended in January 1970; though some of these casts had been around playing gigs before the war broke out. University of Nigeria, Nsukka, the UNN, is none other than a higher institution modeled after the American tradition, of higher learning, which ultimately would bring about change in every aspect of society. It was on the grounds of this great institution that Bob Miga, born Valentine Soroibe Agim would storm with a cast of his musician-folks, and where other cats of the day performed and, all around the Eastside. Just like the three major record labels' (Blue Note Records, Impulse and Prestige) experimental years guided and produced casts of phenomenal jazz players -- Miles Davis, Dexter Gordon, Billy Higgins, Jimmie Smith, Max Roach, Charles Mingus, Lee Morgan, John Coltrane, Curtis Fuller, Wayne Shorter, Kenny Clarke, Donald Byrd, Grant Green, Roosevelt "Baby Face" Willette, Bud Powell, Idris Muhammad, Pharoah Sanders, Tal Farlow, Milt Jackson, Art Blakey, McCoy Tyner, and as the list goes on and on, which I presented on my Facebook page, and eruption of the crossover era when the experiments overwhelmingly seemed to be accomplished, categorizing patterns of instrumental plays (jazz fusion, smooth jazz, new wave music, etc.) -- Nigeria, in the 1960s developed similar desire as was the case with the three major record labels during the 1950s-1960s experiments; experiments its direction was unknown, which would drive a youngish, curious minded elements, determined, bringing in a new kind of music in adaptation to their foreign counterparts. The experimental years which had appeared while the bebop, ragtime and swings of the 1930s-1940s waned, and in the 1950s when Blue Notes' Alfred Lions had brought in his friend, Francis Wolf, to capture every image of every event, and at all recordings and jam sessions, it wasn't noticed that Lions had visions and was innovative. Today, the ideal behind Blue Note Records and its sister links, still plays and valid. In Nigeria's 1960s, though there were other musical genres of note and already coined -- juju, highlife, etc. -- popular music as had exploded in Lagos would take the city and nation by storm, and an adopted name about a coastal city, the "New York of Africa," would melt Lagos in its entirety, burning with an emerged, amazing night life that would rock the land. A new blend of music. Some new cats and stage names. A style and personalized trademark. A quest that would send a powerful message. Lyrics made raw. It was during this experimental period that names and groups like Teddy Oscar and the Strangers, Pat Finn Okonjo, Jerri Jhetto, Joni Haastrup, Michael "Micro Mike" Akpo, Franco Adams, Lola da Silva, Paul Nwoko, Victor Damole and uncountable others, surfaced. And the Teddy Oscar and the Strangers Band assumed to penetrate the newly arrived pop scene disappeared before anyone could figure out what had gone wrong. 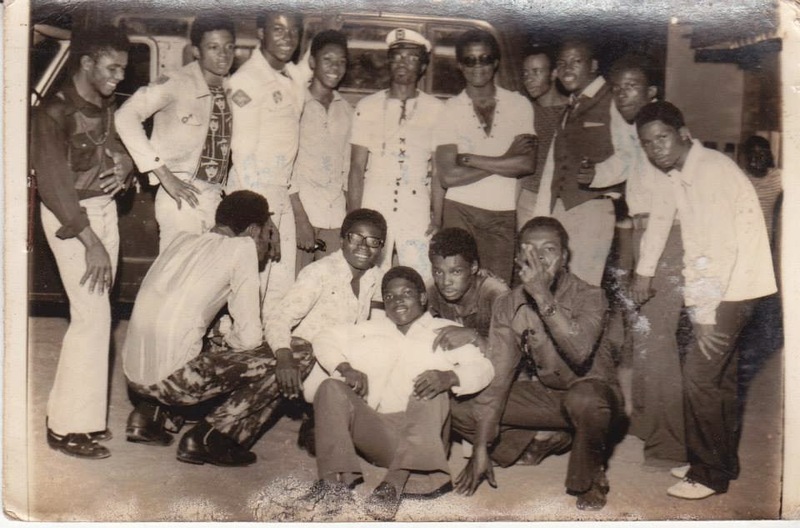 According to Uchenna Ikonne who will be releasing a book on West African vintage music, the Hykkers appeared on the music scene upon probably the sudden dissolution of the Teddy Oscar-led Strangers, and though at the brief appearances, Miga may have not been given publicity. Nevertheless, Miga joined the Hykkers, an army engineered band, alongside Jake Solo, Okonjo, Emile Lawson, Felix Umuofia and Jeff Stone Afam. Hykkers would play jam sessions and entertain the army brass until the base camps at Lagos wanted their attention, the need to go back to Lagos and perhaps keep up with the same flow and same band members. That would not happen. Miga had a plan. Since his mother was staying in Owerri, he figured there was no need to follow the band back to Lagos. So, he alerted the military commands about other band members' desire to move back to Lagos, which wasn't a good idea, as he suggested; and how to keep the band permanently positioned in Owerri could be beneficial to the military commands, considering the fact that the band had gained grounds in the East, and would not make sense to start all over again by moving back to Lagos. As it had happened, the military commands favored Miga's stories and strategies which should keep the band intact, in the sense that, Wetheral Road, Owerri, and other hangouts in the hood where the band did their rehearsals, had become established and known, by the locals and fans all around the region, the East. Owerri had become blown to a mega city because of Miga and how he brought pop culture home. Owerri Township and its suburbs, overnight, turned out a sensation with the kind of psychedelic funk, blended with some rock, had been introduced into every home; and thanks to Miga's Strangers. Miga had become a demi-god and idolized anywhere he popped up. While Miga stayed on top in many of what he had initiated, bands erupted like crazy, and Ala-Igbo would be something else by way of pop culture. The pop culture revolution had just begun. The Hykkers, as it would turn out when Miga had succeeded in convincing the military commands why Owerri remains a better spot, in which he was allowed to keep all the instruments while the rest of the band members left empty handed back to Lagos for Miga to regroup. Meanwhile, Eddy Duke who had stayed behind on Miga's counsels did not hesitate to join Miga in the new Hykkers band when Jake Solo (Nkem Nwankwo) and Ify Jerry came aboard from Enugu for scheduled Hykkers gigs, jam sessions and studio recordings. A group now in adaptation to the Liverpool foursome, the Beatles, would rock the East in a similar fashion the Beatles did in Europe and the Americas. The Hykkers, would, however, record some powerful singles -- "God Gave His Only Son," "Stone The Flower," "Deiyo Deiyo," etc. -- before going their separate ways which was typical of music bands and how the business was run. Enter the new Strangers of Owerri. There is a new band in town with rules of engagement. After parting the Hykkers and Miga stuck with musical instruments, leaving him with one of two choices: To look for session men, shop around for a recording label, form a new band for gigs, outdoor performances and live studio recordings, or leave the entire business alone and move on for something entirely different and, better. Miga already knew what show business had been all about; so, making up his mind did not take too much probing to find out there was no other place for him than the only thing he had known from growing up. With all musical instruments in his possession and a band dissolved with no other band-members around to flex with, Miga hopped on the road again to shop around for a group of session men, or folks willing to form a new band with him. It was in this quest, he bumped into guitarist Ani Hoffner (Eugene Umebuani) and Sammy Mathews and, after talks of engagements in recording and performing contracts, Hoffner and Mathews agreed to participate in Miga's new band, The Strangers of Owerri. There was a Strangers resident in Owerri and Miga and his band mates got every soul popping. Other music bands emerged, too, and the Eastside never would be the same again. In every nook and cranny, there was a gathering, student union ballroom, family parties, series of scholarly fraternities, social clubs, christenings, cultural festivals, traditional initiations on the rites of passage, and things like that, which overwhelmingly overshadowed the Eastern landscapes, as these musicians entertained. "Sad loss Ambrose! Explains why I was in 'Strangers' mood couple of days ago! Used to hang out at their flat on Wetheral Road, Owerri with my pals as truant kids skipping school playing hooky just to watch them rehearse back then! Their 'music and temperament' was a class act, especially after the loss of the Biafra war, and we were finding our ways back into society. Cherished memories and great contribution! Really sad but thnx for sharing!" "Oh wow. Ambrose, this is rather melancholic for me. I enjoyed these golden days of genial musical band exploits but was too young or maybe too naive to even know the names of the groups. Then as I grew up I faced the sad experience of hearing and listening to artists sing about the passing of the individual talents, starting with my earliest recollection, Spud Nathan. Later in my broadcasting days in Nigeria, I was opportune to interview individuals like Harry Mosco Agada, a couple former Ofege, Osibisa and the rest and those encounters were so memorable. Today the list of the departed icons is growing -- Jake Solo, Harry Mosco, Perry Ernest...Could a memorial event ever be put together for them?" "Bob helped to create the atmosphere that helped the Easterner on the road to recovery after the devastating loss and humiliation by the power that was. People started to forget for a minute the pains and suffering, whenever the music was presented. Music was the pill that healed the people. May his soul rest in perfect Peace. He played his part very well." "May his soul rest in peace. He would always be remembered as a cultural revivalist. One of those who helped the Igbo spirit to re-energize. Is it a surprise that just months after the genocidal war, the Igbo began to rule the music world again in Nigeria with different shades of pop and highlife bands?" Like most of the commentaries, everybody just wanted to dance and be happy and put behind what had been Yakubu Gowon's-led genocidal campaign against the Igbo nation. A Reconstruction era and a people just risen like a phoenix. And all the musicians, bands and groups delivered wherever they were called upon to perform. Iyke Peters and Marshall Udeonu, the Founders 15. Lawrence Ebenwa, the Doves. My hommie, Jerry Boyfriend. Lasbry Colon, the Semi Colon. Chyke Fusion, the Apostles. Spud Nathan (Jonathan Udensi), the Wings. The trio -- Jake Solo, Harry Mosco and Sunny Akpan -- the Funkees. Several other bands emerged upon breakups and regrouped. As the Eastside had become the hotbed of a social revolution, more bands popped up and the Strangers, again, would collapse. Though with some singles released, there would be disagreements on leadership and payout contracts in-between Migas handling of the band and Hoffner's faction, issues folks in the music business encounters regularly especially when its leadership begins to crumble. That was the fate of The Strangers of Owerri Miga had asked Hoffner to join. Hoffner left and took away all his boys to start what would be One World. Miga, again, was left without session men or a band. He had to rethink his strategies after Hoffner and his colleagues' departure. One World, Hoffner's band would relocate to Warri where they'd be the resident band at Lido Nite Club & Restaurant, exchanging dates at the club with the Lemmy Faith-led Aktion 13. Like the adage, "Old Soldier No Dey Die," Miga wasn't finished yet; he was still kicking and never would give up. This time around, he hustled himself onto the streets of Owerri and elsewhere and, talked enough guys into being session men or part of an extended Strangers after the Hoffner team. Miga collected some folks to help him work in the studio for another release. He had engineered the project, but what had happened was he felled off with his new crew who got away with the master-tape, formed a new band and released a single that had been Miga's idea. The group, Black Children released "Satisfaction," and a Miga's touch was felt in the entire song. Black Children ended Miga's music appeal. Miga would relocate to London where he would sit on the chair of the Nigeria High Commission in London until his passing April 2, 2014. I wonder if you are in touch with Ibe Ekeanyanwu and Alan B. I suppose they have commenced some plans for my return gig. I will connect you guys if you are not aware of them. I look forward to hearing from you soon. "Ok, great I heard from you. I have no such information on your return gig. Keep me posted, please. 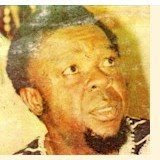 You must have heard by now of Harry Mosco Agada's death." Bob Miga and I did not share much correspondence henceforth because of our schedules. Like I Said earlier, I first met Alan B when my village student union hired him to deejay our event and I had co-emceed. We met several other times including his gig at then College of Science and Technology, Port Harcourt, in 1978. Miga's era, without doubt changed a whole lot, especially, culture. At a particular time, our parents did not want us to be associated with all the hype, the music and ballroom dances of the time, which as then assumed, depicts every bad behavior that attracts the desire to ditch classes. They were wrong. It was part of the pop culture and social order in development and upbringing as time passed by. Ironically, with all that as we enjoyed the era and the music of Miga's Strangers and, other performing artists, and as we danced all night long behind closed doors, manned by volunteered bouncers, and we had no more leg strength but crawl back home reciting Strangers "Survival." No, not that we knew the lyrics; we were blabbing as if we got it in order and nobody figured it out, that we youngsters, had no clue. I bid you goodbye, my friend! Uchenna Ikonne contributed to this report.